Spotify is one of the most popular music streaming services that is used by millions of users across the globe. Lately, Spotify has been expanding its services to new countries and regions as an attempt to expand its user base. Well if you don’t prefer using Spotify and are scouting for some of the best Spotify Alternatives to stream music then this article might help you. So these are the best Spotify like apps and services that are worth checking out to listen to music. The first best Spotify alternative on the list is Apple Music. Spotify presently has a humungous selection of more than 35 million songs while Apple Music boasts a much larger selection of 45 million tracks. 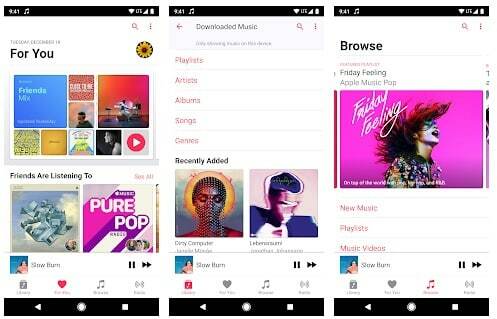 In addition to Apple devices, Apple Music can be accessed on any Android smartphone and Windows computers via iTunes. Similar to Spotify, you can download your playlists for offline listening. Furthermore, Apple Music also allows users to follow playlists created by other users. Subscription pricing for Apple Music is nearly similar to that of Spotify. As for downsides, Apple Music doesn’t have a dark mode and the application can’t stream podcasts. The next best Spotify alternative on the list is Amazon Prime Music. Similar to Spotify and Apple Music, Amazon Prime Music also has an extensive collection of tracks from different genres. 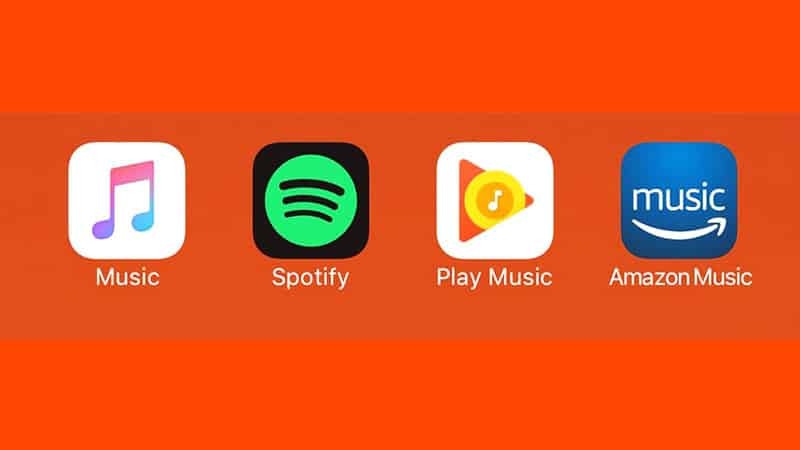 Amazon Prime Music can be used on Android, iOS, MacOS, and Windows 10 devices. Moreover, this music-streaming service also functions on web browsers. Amazon Prime Music comes bundled with Amazon Prime subscription which also includes Amazon Prime Video. The music streaming service is fairly cheap as compared to Apple Music and Spotify. As for downsides, Amazon Prime Music lacks a well-developed UI and the quality of songs is comparatively poor. YouTube Music is another reliable alternative to Spotify. Lately, YouTube has been improvising the YouTube Music service and it’s presently available in seventeen countries. In addition to major music labels, many individual creators upload high-quality music to YouTube which can be enjoyed via the YouTube Music application. 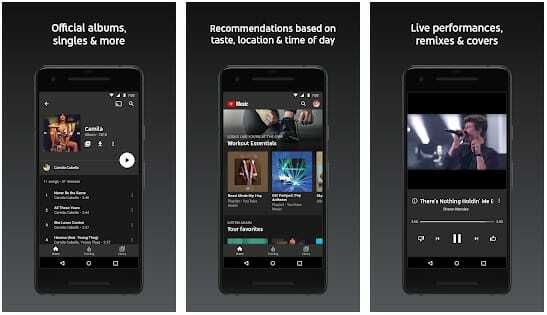 YouTube Music relies on Google’s well-developed AI for suggesting new tracks, albums, and playlists to users. You can get the YouTube Music monthly subscription for around $9.99 which provides ad-free music coupled with the ability to turn off phone’s screen while listening to music. The next best alternative to Spotify on the list is Pandora. 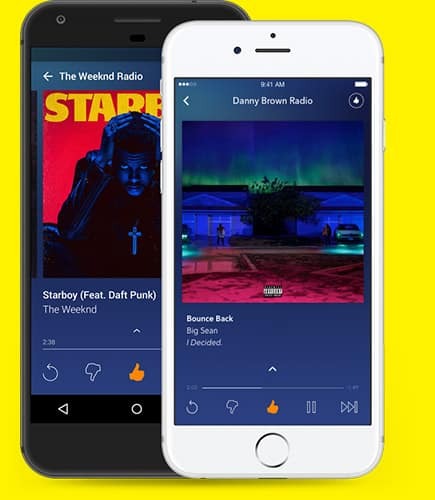 This popular music-streaming service allows users to choose their favorite genres or artists and later based on users activity, Pandora suggests best playlists. Pandora is completely free to use but the $5 monthly subscription offers song-skipping ability and removes annoying ads. It is worth noting that, Pandora is only available in the United States, Australia, and New Zealand. Deezer is another reliable alternative to Spotify. 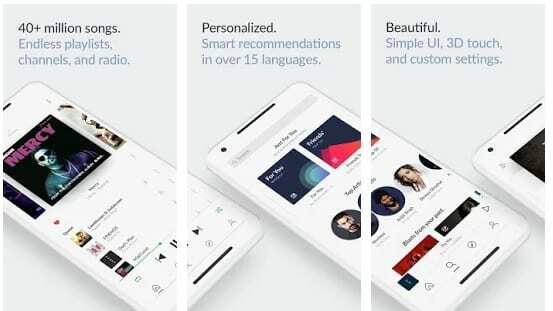 Similar to Pandora, this French-based music streaming service allows users to choose their favorite genres or artists and later the service suggest playlists based on users preference. 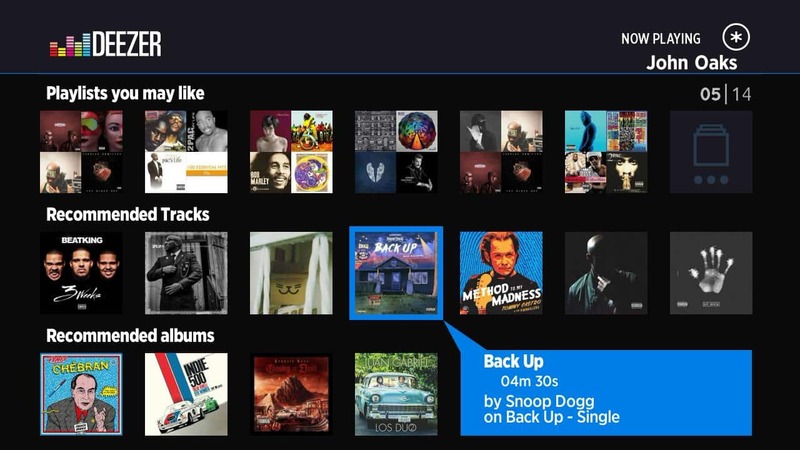 Deezer boasts an extensive collection of 40 million licensed tracks coupled with 30,000 radio channels. You can get the Deezer monthly subscription for around $9.99 which provides ad-free music and the ability to download music for offline listening. Soundcloud is the next best Spotify alternative. This popular music streaming service boasts an extensive collection of more than 150 million songs. Soundcloud is the only platform where you can listen to remixes, beats, remakes and EDM’s created by indie creators and upcoming music artists. Unlike other Spotify alternatives, Soundcloud is completely free to use and a majority of creators on Soundcloud allow free downloads. Lastly, SoundCloud has a clean and very intuitive UI and it offers reliable streaming speed. Saavn is a perfect Spotify alternative for those interested in Indian music. Similar to Spotify, Saavn offers a very developed UI. Using Saavn Radio you can stream endless music for any mood, song, or artist. Saavn is one among many few Spotify alternatives that offer 320kbps high-quality audio downloads. As compared to Spotify Saavn Pro has lower subscription charges. Overall, Saavn is a perfect alternative to Spotify for streaming Indian content. Ganna Music is another great alternative to Spotify. 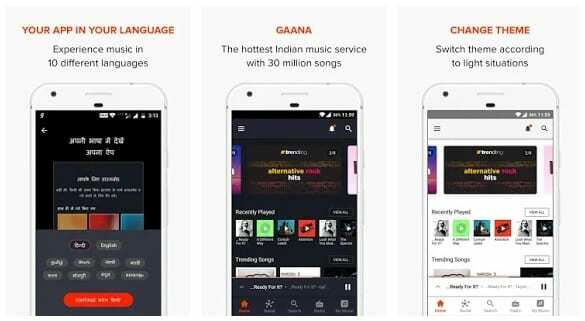 In addition to 30 million Bollywood & English tracks, Ganna Music also doubles up as a full-fledged FM Radio. Ganna is one among many few music-streaming services that also offer lyrics for every song. Upgrading to Ganna Music Plus, you can download unlimited songs for offline listening and sync downloads on five devices. Similar to Spotify, Ganna also features a dark theme and it’s music library updated daily. Wynk Music is another capable Spotify alternative that simply gets the job done. 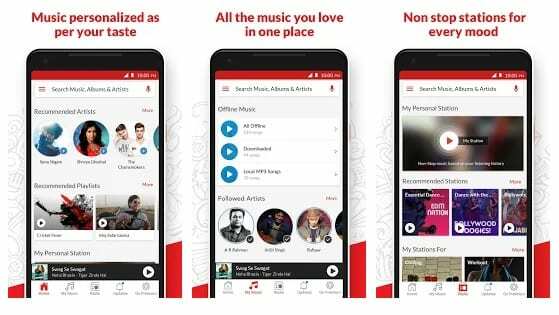 Using Wynk Music you can browse thousands of curated playlists, and you even follow your favorite artists and playlists. Similar to Ganna Music you have to pay to download songs, but streaming songs on Wynk is completely free. 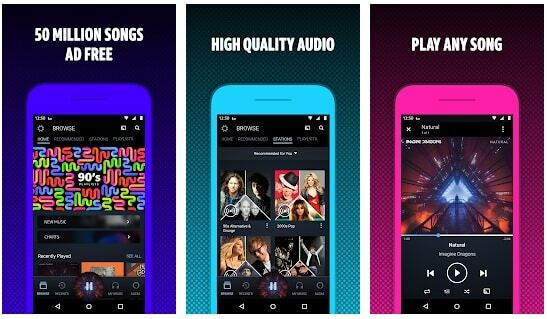 Unlike other Spotify alternatives, Wynk Music allows users to cast music on devices like chromecast and firetv stick. Lastly, Wynk Music also functions at low internet speeds. The last best Spotify alternative on the list is Rock My Run. 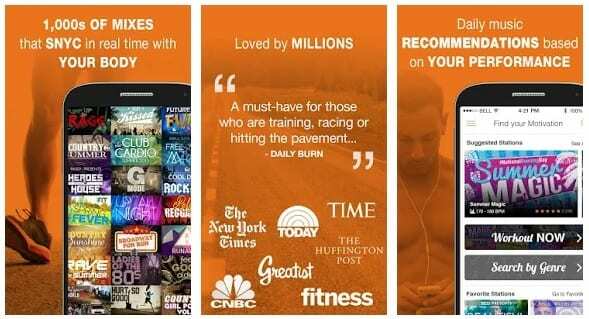 As the name of this music streaming suggests it’s a perfect app for fitness freaks. Rock My Run has a clean UI and decent music organization tools. You can enjoy music from genres like Pop, Rock, Hip-hop/Rap, country, Classical, and much more. Using the application users can download songs from vast public domains. Additionally, Rock My Run is completely free to use. So these were some of the best alternatives to Spotify that are worth checking out. Do share your personal recommendations for the best Spotify alternatives in the comments section below.